The report provides profiles of five Community Colleges that have had tremendous success with instituting programs that move more students through the system and onto the university or the workforce. This practices highlight innovative and scalable approaches to get more students to reach their college goals. 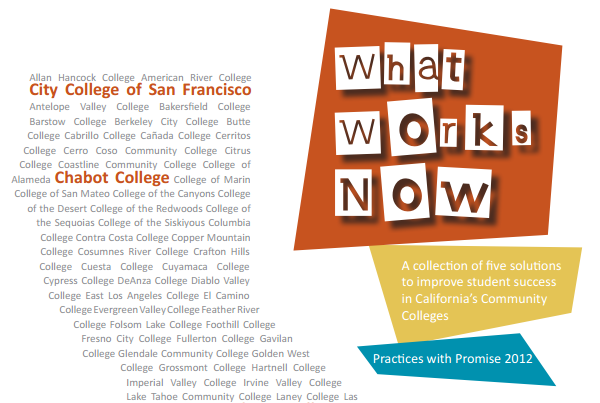 The five colleges profiled in ‘What Works Now’ include: City College of San Francisco, Chabot College, Chaffey College, Long Beach City College, and Los Medanos College. The report also highlights the importance of data collection, collaboration, and leadership in improving student success.